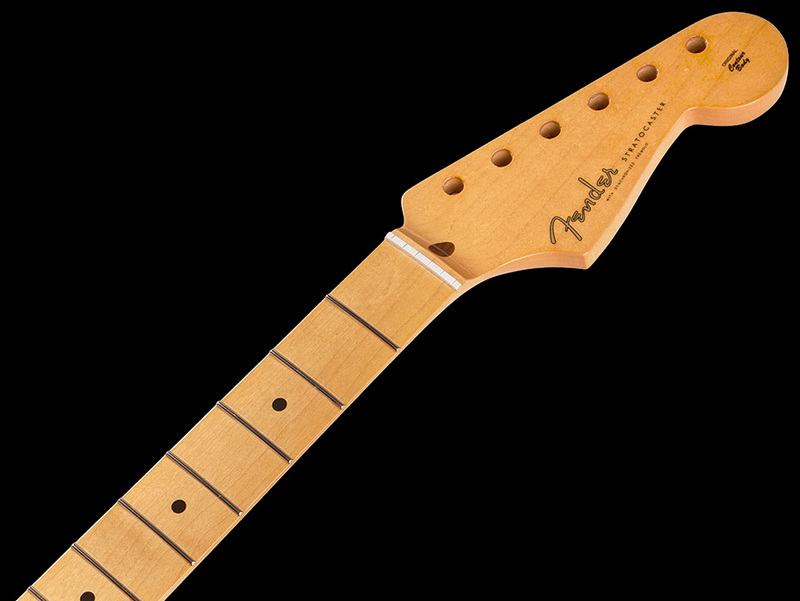 Genuine Fender Stratocaster® guitar maple neck features a comfortable “soft V” profile and 7.25”-radius maple fingerboard with 21 vintage-style frets. Also includes standard truss rod and pre-slotted synthetic bone nut. Gloss urethane finish for smooth feel. Crafted at Fender’s Ensenada, Mexico, manufacturing facility. String tree is not included and its mounting hole will need to be drilled. For true Fender authenticity it has the "Fender Stratocaster" and "Original Contour Body" logo decals and it's serialized. 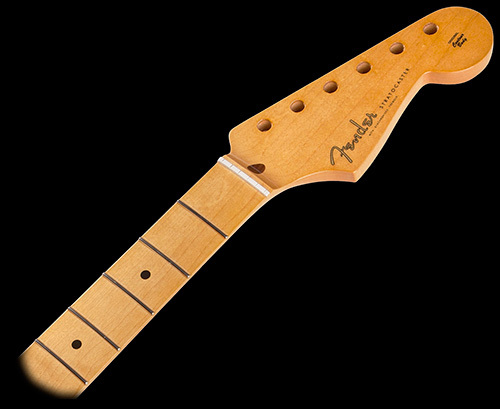 This replacement neck is for a Fender or Squier® by Fender guitar. The tuner mounting holes are pre-drilled with a pilot hole sized for #3 mounting screws. Do NOT use the smaller #2 sized mounting screws that come supplied with some tuners, you will strip the mounting holes. #3 sized mounting screws have a 0.10" outside diameter of the threads, these are what you want. #2 sized mounting screws have a 0.085" outside diameter of the threads, these are what you DO NOT want! If you are unsure as to which size mounting screws you have, measure them with a dial or digital caliper across the largest part of the threads.